Are you ready to search for a paralegal job? 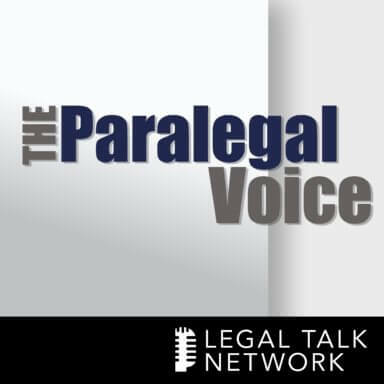 On The Paralegal Voice Kim Wierzel, Esq., a reformed litigator and Placement Director with Special Counsel, joins co-hosts Lynne DeVenny and Vicki Voisin to talk about everything you need to know regarding the paralegal job market. Their discussion includes current paralegal hiring trends, educational and certification requirements, tips for paralegals just entering the job market, and the top three areas paralegal job seekers most need to improve to be more marketable. Kim also addresses a current “hot button” issue for the paralegal profession, i.e. whether employers are seeking inexperienced new attorneys instead of experienced paralegals. Special thanks to our sponsors, Redact-It, Clio and the National Association of Legal Assistants (NALA).